Barrel Stave Wine Flight Set (P/N WINETF-IWA). 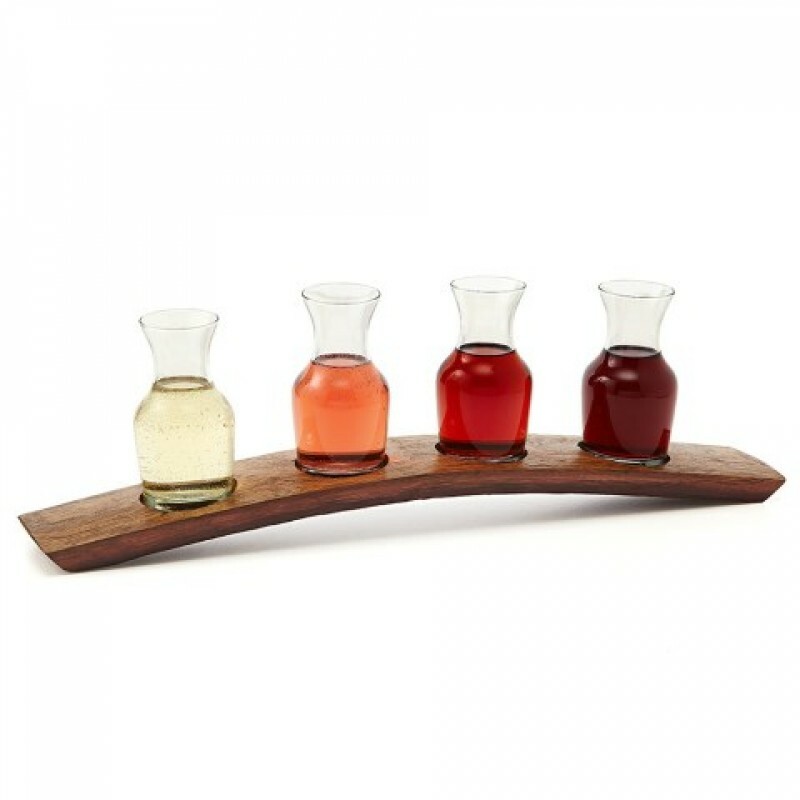 Gather friends and family for an evening of wine tasting with this sophisticated set of mini carafes displayed on an authentic wine barrel stave. Each carafe is designed to hold 6 1/2 ounces. Hand washing recommended. Each barrel stave is hand-made with unique imperfections, markings and personality. An authentic reclaimed wine barrel stave make the tray for this stunning wine flight set.